Chasing Silver: The hunt for the Lady of the Stream. The times they are a changing and that’s reflected by the vivid colour range in the trees in this recent photograph from the river Teviot. In my mind fishing for grayling is synonymous with autumn and change. As the leaves leave the trees, the fish rises in the river will disappear signalling the end of dry fly fishing for this year (more on dry flies at the end). But during this transitional period we can make hay while the sun shines even if that is only occasionally. Given a friendly weather day and good river conditions we can fish for grayling or the Lady of the stream using a variety of techniques including dry fly, weighted nymphs fished in the Czech style, Tenkara, weighted nymphs fished under an indicator/dry fly and spiders. We have done this recently as shown in our latest You Tube video and had some great days sport. Grayling are truly stunning and a large grayling is always full of autumn colours like the vivid reds in its dorsal fin. They are a joy to catch now in autumn using a variety of techniques and through the winter months using bugs in the Czech nymphing style of fishing. Dry fly fishing for grayling is relatively straight forward. Present a good dry imitation and the grayling will usually accept it. 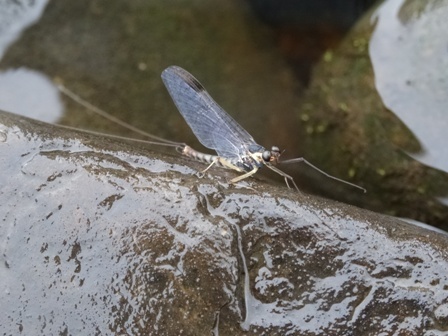 Good all round imitations are the soft hackle dry fly (which imitates a small mayfly), the “F”terrestrial (which copies bugs and small stonefly) and the onstream-guide emerger all of which take the majority of the fish rising in most situations. Generally grayling are happy to intercept most small mayfly species. Grayling will allow you to “line” them (cast a fly line over it), make changes to your fly until you find the right one and let you get quite close to them. They are forgiving fish! 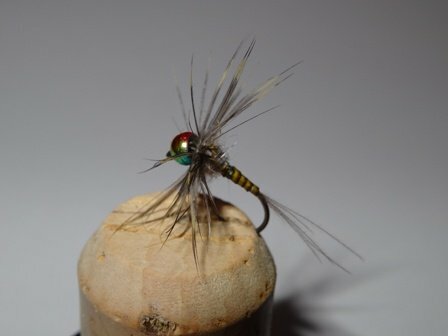 Your fly should be drag free however for best results. 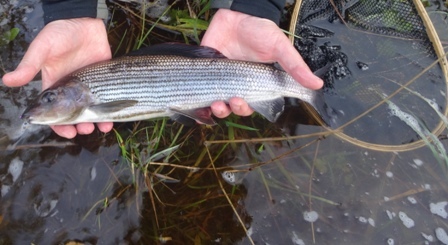 The best time for dry fly fishing for Grayling is October to mid November on milder calm days. 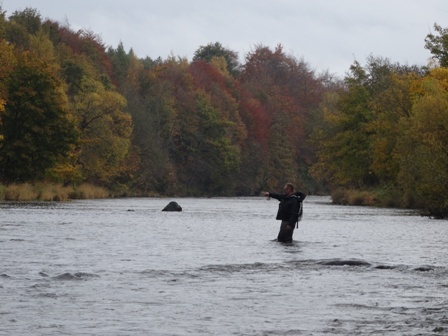 After the trees are naked, nymphing represents the only realistic chance of success to catch grayling. Our last trip on the Tees was a nymphing trip out of necessity because of overnight heavy rain which raised the river about 20 cm. 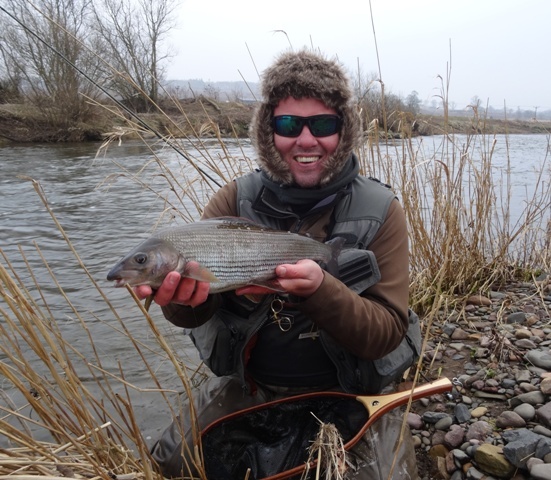 These are tough conditions to catch grayling in and grayling do not like muddy or chocolate coloured rivers. Trout will feed in spate/coloured conditions but grayling will only feed if the water is clear from sediment. The river was high but clear and we caught fish on the nymphs. I caught 6 quality grayling in tough conditions and all took a new experimental nymph called the rainbow beaded nymph. I fished this under an Orvis stick on indicator with a 3 mm black magic on the point. The rainbow nymph is tied with our new range of Tungsten beads available now on the site. We are delighted with the quality of these beads and have field tested them with excellent results. 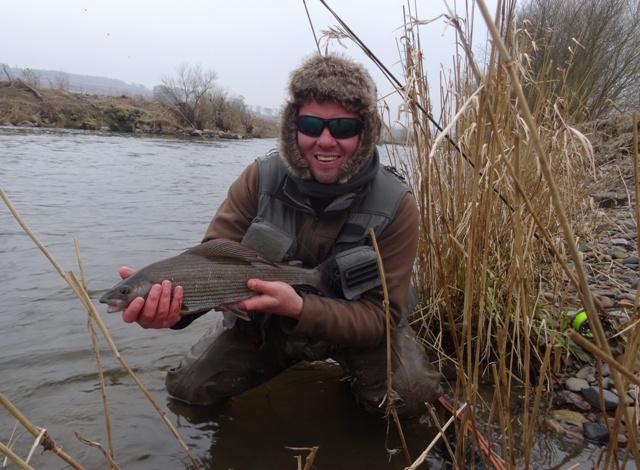 We have also caught grayling recently on the River Teviot using the Czech nymphing technique. Here nymphs are tapped along the bottom under the rod tip at slower speeds than the surface currents and therefore very different from indicator nymphing described above. This fish pictured from that trip is a solid Teviot fish but far from the maximum size of fish that can be captured on this majestic but tough river. Also pictured is the biggest from last season on the Teviot. This is a very large grayling and measured 56 cm. Both these fish were caught on the ever reliable polyphaeitis pattern and specifically the 4 mm gold head version. As fishing through the winter progresses river fishing is generally dominated by the use of heavier nymphs in deeper sections of river using the Czech nymphing style. It is important that the nymphs are fished along the bottom so heavy nymphs are a must. The polyphaetis has long been my point fly on a Winter Czech nymphing outfit. Be warned though fishing for Winter grayling is not for the faint hearted. It is going to be a long winter. If the thought of a long hard winter is all too much, then our inaugural DVD might relieve the cabin fever and keep you active at the vice. Entitled “A half dozen deadly river Dry Flies”- with practical advice on how and where to fish them. In this DVD we tie the six flies which include ‘The one” - a paraloop grey duster, the match the hatch pale watery, the “F” terrestrial, the soft hackle dry fly, the onstream-guide emerger and the lifejacket elk hair caddis. Nellie does a great job with the camera and we are delighted with the results. This will be available to download in the early 2016 from the site. The hard DVD will be launched at the British Fly Fair at the Staffordshire Show ground in February. We will be delighted to see you there. We’d like to thank all of you and especially those I’ve already had the pleasure of fishing with for grayling. There have been some memorable moments. Special thanks to Simon Caddy for the pictures. Best wishes to you all and we hope the autumn and winter months bring you many encounters with the lady of the stream.